Jim Doherty tells us it looks like SMFS will be part of the general awards ceremony Thursday evening at the Rock & Roll Hall of Fame. Tom Sweeney will be presenting the 2012 Derringer plaques. Golden Derringer recipient Bill Pronzini will not be in attendance, but is gratefully accepting the award by mail. The SMFS Golden Derringer committee has voted on the three writers nominated last spring, and has selected Bill Pronzini as the recipient of the 2012 Edward D. Hoch Memorial Golden Derringer Award. - Bill Pronzini is the author of over 300 short stories. - He is the author or co-author of at least 10 collections. - He has been twice nominated for the Mystery Writers of America's Edgar® in the short story category. - He has been nominated for six Private Eye Writers of America Shamus awards in the short story category, including "Cats-Paw," for which he won. - One of his "Nameless Detective" stories, "Incident in a Neighborhood Tavern," was both a Shamus and an Edgar® nominee. - His career, in both novels and short stories, is notable for his ability to collaborate with so many different co-authors. In short fiction, his partners include Jeffrey Wallman, Barry Malzberg, and his wife, Marcia Muller. Congratulations to Bill Pronzini and thank you to the SMFS members who took the time to nominate writers for the award and also to those who served on the selection committee. 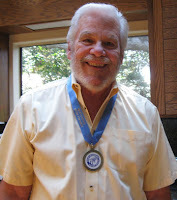 I'm flattered and honored to be the recipient of this year's Golden Derringer, the more so because Ed Hoch was a long-time friend as well as a writer whose work I greatly admire and respect. To receive a life achievement award that bears his name is particularly gratifying. My thanks to those members who voted for me, and to you for the kind words on my stories. Much appreciated.